Robyn Courtney began her working life in the sport horse and thoroughbred equine industry. Her distinguished real estate career began with Michael Keating and Fred Dumar at AAB GLOBAL, spending her time between offices in Richmond, Queen Street in the heart of Melbourne’s legal precinct and Flinders on the Mornington Peninsula. Robyn trained for three years at Michael’s side where she assisted with all aspects of helping his high net worth clients and their families achieve their goals with selling their city homes and peninsula properties to local, national and international buyers. Working seven days a week with someone known as the agent that never sleeps meant that in those three years with Michael, Robyn acquired a lifetime of high end, off market and overseas real estate marketing and sales knowledge. Knowledge which takes what she will bring to the table for your sale above and beyond. Intrinsically involved with some of the biggest sales on the Mornington Peninsula Robyn was an integral part of a team which turned the Melbourne real estate profession on its head with their levels of professionalism, client relations, innovation and above all else results. Put simply, Robyn was one of a team who reset the prices of Mornington Peninsula properties. From multi million dollar apartments, grand homes and coastal properties, to vineyards, stud farms and country estates. Robyn industry experience is thorough and gained at the very highest level. Contact Robyn to discuss your real estate requirements in the strictest confidence. We are pleased to announce the addition of Neville Dickinson to our Australian Division. Neville brings a wealth of knowledge and experience in Commercial Property and Farming Property sales. In addition to high end Australian Residential Real Estate sales, Neville has extensive New Zealand and UK agency experience amassed over decades, which will further benefit our Australian and international vendors and buyers. Contact Neville for a confidential appraisal of your property. At the core of our international organisation are the best, most qualified and roundly experienced individuals to be found in any real estate agency and Michael Latham fits our mould extremely well. Vastly experienced, Michael’s career to date is exceptional and as part of our international partnership he will bring an unmatched level of expertise to the marketing and sale of your property. 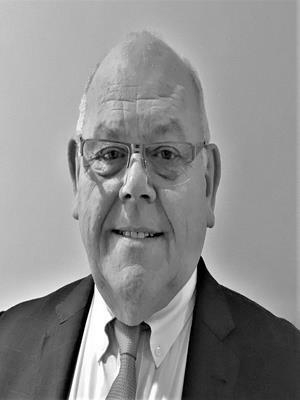 Michael began his career in finance moving then to hospitality and tourism culminating in a now long established and distinguished career in real estate. He has lived and worked on the Mornington Peninsula for over 16 years and will be responsible for building our team covering Olivers Hill, Mount Eliza, Mount Martha and Martha Cove. and in property management of over 500 CBD apartments. Michael also brings knowledge and experience in aged care, independent and retirement living sales environment. Recently he was involved with residential sales of a $50 million aged care and retirement living redevelopment project. A person of Integrity and honesty Michael shares our commitment to exceed client expectations. Contact Michael in the strictest confidence to discuss the sale of your property.